Our karate masters have years of experience and training between them. You’re in good hands with Northern Suburbs Karate Goju. Brian Mackie Hanshi 8th Dan Chief Instructor of I.K.G.A. Australia and Oceania has been teaching at the Karate Academy of Japan in Perth since 1966. Brian has visited Japan on numerous occasions to train with Saiko Shihan Goshi Yamaguchi and other top Japanese instructors. He is priviledged to have also trained with World Champions Wayne Otto, Junior Leferve, Jimmy Collins, Gerry Flemming and Japan’s National Team Coaches Murakami Sensei, Hibio Sensei, Fujimoto Sensei and Arakawa Sensei. Australia’s first gold medallist in an official International Championship, Brian became the A.K.F.’s National Team Coach on his retirement from International competition. 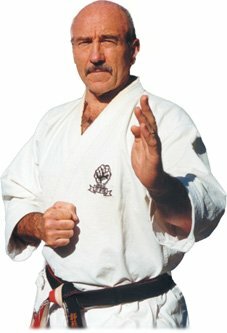 Brian was a founding member and President of the Australian Karate Federation W.A. Inc. for sixteen years and was appointed permanent Technical Advisor for the A.K.F. He was responsible for writing the original National Coaching Accreditation Scheme training manuals. Goshi Yamaguchi was born in Shinjing Manchuria on September 28th 1942, the third son of Kaiso (Founder) Master Gogen Yamaguchi. In 1951 at the age of 8 he began practising karate-do at Senzoku Dojo in Asakusa. He aquired 1st Dan in 1957 and 2nd Dan in 1959. He attained 3rd Dan in 1962 and became an instructor. He entered Nihon University in 1963. majoring in cinema studies in the Department of Arts. As a student he had an opportunity to teach karate-do. Graduating from university in 1969 he became a full time Shihan in the hombu dojo, with a view to promoting and developing Goju-Ryu Karate-do. He has visited and taught in more than 40 countries throughout the world. In 1990 he was appointed Saiko Shihan (Grand Master) and president of All Karate-do Goju-Kai Association and the International Karate-do Goju-Kai Association. A Senior High School teacher Ben is an excellent instructor developing strong and disciplined karate-ka in his separate junior and senior sessions. At the 2nd World Goju Kai Tournament in Brazil, Ben won the silver medal in the Open jiyu-kumite sparring event. At the same championships he placed in the top eight in kata and fourth in bunkai. At the 3rd Karate-do Goju-Kai World Championships in Perth, Ben won the bronze medal in the Open jiyu-kumite sparring event. Ben has classes at St Stephen’s School. McAlpine Hall Gym Doveridge Drive Duncraig. 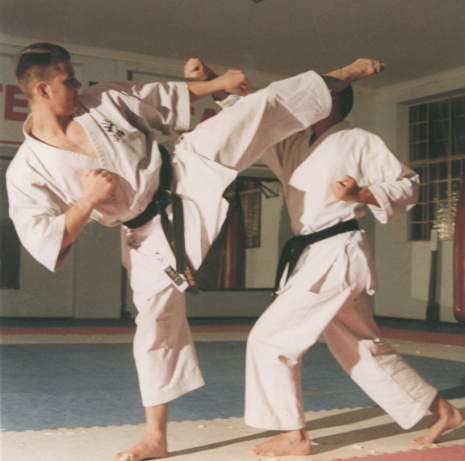 Craig started training in 1984 at Brian Mackie’s Karate Academy of Japan. He achieved senior Shodan (1st Dan) in 1987 and won the first of 13 national All-style titles in 1988. Craig has trained under Grandmaster Goshi Yamaguchi Saiko Shihan along with many notable international coaches in Asia and Europe throughout his career. Craig has achieved unparalleled success in I.K.G.A. competition winning 4 World Titles, 2 Silver and 1 Bronze as well as 6 Asian Pacific Titles. He has represented Australia in both Kumite (sparring) and Kata (forms) and is only the second person ever to have won both National Open Kata and Kumite titles at the one event . Craig captained the National team from 1995 to 2005 when he retired form competition after winning his 4th World title. Craig was awarded his 5th Dan Black Belt in December 2006 where he was also awarded the title of Shihan (Master) by Goshi Yamaguchi, Saiko Shihan. Craig is a physiotherapist as well as training students, hoping to develop their skills in competition karate. The academy has been synonymous with the northern suburbs of Perth since the early 1980’s with Shihan Peter May coaching students in public halls and school gymnasiums in Koondoola, Girawheen, Wanneroo and Craigie. Peter commenced training in the Perth club under Japanese Sensei Nagai in 1969 and continued his karate with Kyoshi Brian Mackie, where he still trains today. Peter has been responsible for the development of Australian squad members recently representing Australia in Holland. The academy has branches in Warwick and a new branch at Edgewater. The Warwick branch is run by state and Australian representative Shihan Ben Mettam, with the Edgewater branch under Brian Davidson and Mitch Tapper 1st Dan. Both Brian and Mitch trained with Shihan Peter May for 20 years and 10 years respectively. Mitch also spent 4 years under the guidance of Kyoshi Brian Mackie. The Edgewater branch has 4 accredited A.K.F. Australia Sports Commission coaches with Brian and Mitch being assisted by black belts Warren Stephens and Jim Thomas. Warren and Jim are also students of Peter May with 14 years and 10 years training. 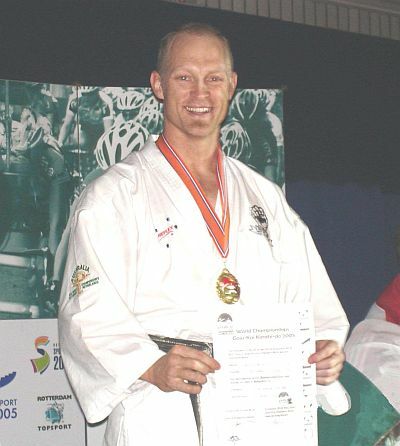 Shihan Peter May an accredited National Coach, has represented Australia in Kata and Bunkai and is well respected by all students at Brian Mackie’s Karate Academy of Japan.